Available by mail order. 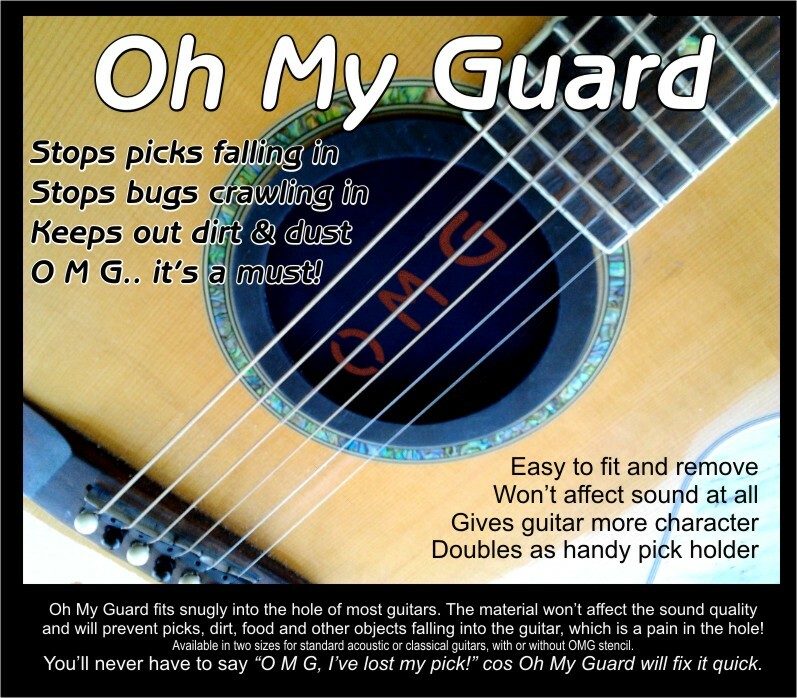 Go to ‘Contact’ on this site and enter your details and what size OMG you would like: classical guitar or acoustic (steel string) guitar and whether you want the OMG stencil or not. Details will follow. Cost $19.95(NZ) + postage.